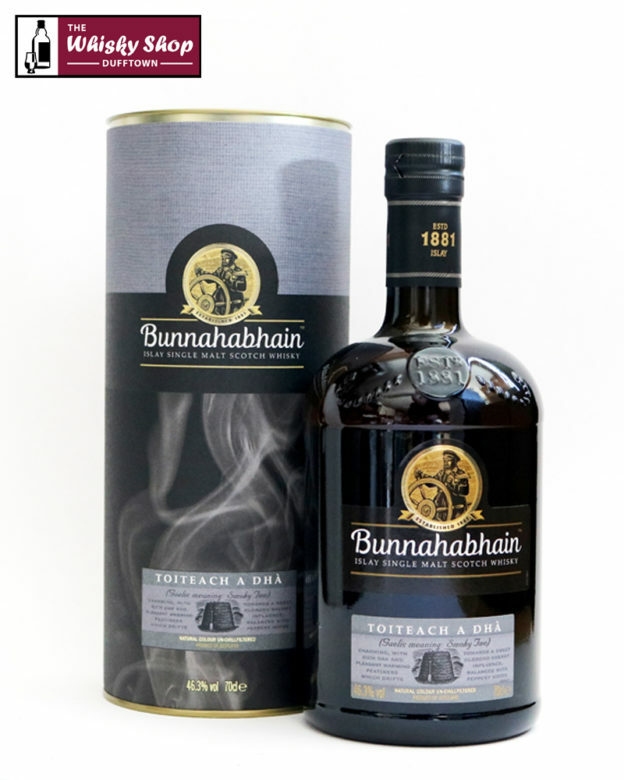 This Bunnahabhain Toiteach A Dha (meaning Smoky Two in Gaelic) is described by the distillery manager as "With touches of smoke from our peated malted barley, this whisky's prickling strength emanates from the dram, while warming with a lingering, robust length and delicately sweet sherry influence." 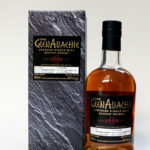 Distillery: Intriguing peatiness with hints of sherry and rich oak. Distillery: Immediate warming peatiness drifts to a sweet oloroso sherry influence with rich oak and balanced with delicate pepper. Distillery: Robust length for the discerning palate.